Five-year-old Jack (Jacob Tremblay) has only known life in a small room. Living with his Ma (Brie Larson), they soon leave the only environment he’s ever known to make a thrilling discovery. 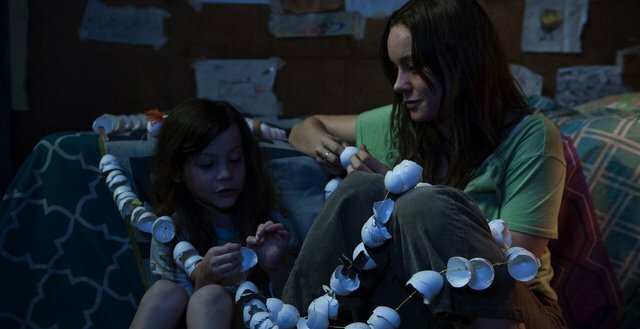 Having taken awards season by storm, Room finally arrives on home entertainment platforms and delivers a moving journey that strikes a deep emotional chord. I implore you to try and not to read too much about this film beforehand – the experience becomes all the richer as a result. Director Lenny Abrahamson does a remarkable job bringing Emma Donoghue’s seminal novel to life, thanks largely to two of the best performances you’ll see in 2016. Brie Larson is exceptional as a mother forced to bring up her young son Jack (a sensational Jacob Tremblay) inside a small room. She manages to be uplifting and heartbreaking in equal measure and the chemistry with Tremblay is astonishing. Without doubt a talent to look out for, Tremblay is totally captivating as young Jack and is the beating heart of the film. Elsewhere, there are strong supporting turns for Joan Allen, William H. Macy and Sean Bridgers but I won’t delve too much into their back-stories for fear of spoilers. The film has a very distinct visual style that compliments the themes of the story and the progression of the characters. At the start, a closed style of filming keeps everything tight and condensed. This allows us to really get absorbed into the characterisation of the film. When things progress, the movie is then diffused through a more expansive lens – something that perfectly envoys the journey of Ma and Jack. Larson and Tremblay are on truly sensational form here. Both are shining examples of their respective generations in Abrahamson’s affecting ode to writer Emma Donoghue’s moving story of fear, love, despair and hope. The first unmissable drama of the year that fully justifies its awards.